Cellphone users have a reasonable expectation of privacy of their cellphone location information, and police must obtain a search warrant before accessing that information, the Supreme Court of New Jersey ruled Thursday. The issue of boundaries in the use of cellphone data by law enforcement agencies has figured in other courts and state legislatures. The Montana legislature passed a law recently requiring police and other agencies to obtain a search warrant from a court before tracking a person using location information from an electronic device. Federal courts have been divided on the issue of cellphone tracking by law enforcement. But historically the New Jersey Constitution has offered greater protection to New Jersey residents than the Fourth Amendment to the U.S. Constitution, Rabner observed. The Fourth Amendment protects against unreasonable searches and seizures. Police tracked the defendant Thomas Earls, wanted for burglary and receiving stolen property, to a motel using location information provided by T-Mobile without warrant, three times in one evening, on a cellphone the police believed the defendant had been using. The trial court found that Earls had a reasonable expectation of privacy under state law and the police should have obtained a warrant to track him through cell-tower information. The court, however, admitted the evidence under an emergency aid exception to the warrant requirement. The New Jersey decision is the first to establish a constitutional right in location data since the U.S. Supreme Court decided in United States v. Jones, a GPS tracking case in which several Justices expressed concern about the collection of location data, Electronic Privacy Information Center said in a statement. EPIC, American Civil Liberties Union of New Jersey and Association of Criminal Defense Lawyers were allowed as amici curiae to advise the court in the case. During a six-month period last year, in 85 percent of 600 cases for which cellphone information was sought, warrants were obtained. Anticipating “extensive disruption in the administration of justice,” the court decided that its ruling will apply only to the Earls case and to future cases. The warrant requirement is to take effect in thirty days from Thursday’s ruling to provide adequate time to the attorney general of the state to circulate guidance to state and local law enforcement officials, the court ruled. 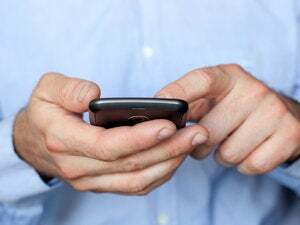 During a six-month period last year, in 85 percent of 600 cases for which cellphone information was sought, warrants were obtained, according to information provided by the state to the court. Local or municipal police departments are said to have handled about sixty cases in which no warrants were sought. The court, however, raised the possibility that the data may have overstated the number of cases the state specifically sought warrants.